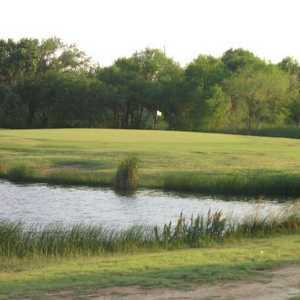 LUBBOCK, Texas - You will get two things guaranteed when you play golf at Shadow Hills Golf Course: service with a smile and good course conditions. Owner Tom Meyer says he and his staff pride themselves in being courteous to all their customers and having more than satisfactory playing conditions every day. "We want them to think they got a fair value and good conditions," Meyer said. "We're never going to be in very poor condition. We're always going to be good. We're not top of the line. We're a medium-range golf course and we want them to think they got a good deal." The good deal comes into play with a student discount for the college kids and a coupon that can be printed off the course's Web site. The conditions are good. The greens always roll true at Shadow Hills and even rival conditions of some country clubs. The lush greens are a direct result of the commitment to focusing attention on them and the tees to ensure fair putting conditions and tee boxes 365 days a year. In the West Texas sun and heat, greens can be difficult to maintain in the conditions Shadow Hills does on a daily basis. While service with a smile and a well-manicured course are staples at Shadow Hills, there's one thing you won't find. There's not one sand trap on the track, and that will make many golfers happy. 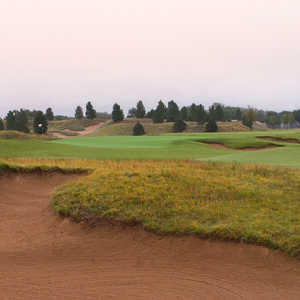 Without sand the course plays easier for every level of player, but it's still challenging enough to make the round interesting. At 6,777 yards from the tips, the length shouldn't worry the above average player, but the plush greens Shadow Hills are known for are also rather large with many undulations. Ten years ago, the course became more difficult with a bit of a makeover. The addition of a water hazard running between No. 7 and No. 11 was a big change. The par-5 11th also moved the green to the other side of the water and added a double fairway creating a risk-reward situation. A good drive will leave you with 200 yards to the green that is elevated, three-tiered, over water with trees to get over. Laying up is more than a smart decision. Also in the construction of 1995 hundreds of trees were added to line some fairways and mounds were built along the right side of some holes. This instantly took away the luxury of playing a wide-open course and made the fairways more important to hit than some West Texas courses with much room for error. Five years ago, Shadow Hills made a commitment to being more of a major player in golf in the Lubbock area with the construction of a brand new clubhouse. The clubhouse dwarfs the old one and has the largest stock of clubs, clothes and supplies of any public course in town. Shadow Hills has emerged as one of the more popular public courses in Lubbock and always has a line at the first tee in the mornings. It has become a favorite among seniors with many of them out to get the early morning tee times. 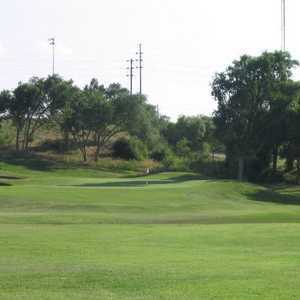 The senior players like Shadow Hills because it is shorter and easier for them to play. They can still put up good numbers from any tee depending on their level of play. One group of elderly friends, in fact, have been more than loyal to Shadow Hills playing here since it opened. "We've been playing here for 30-some-odd years," said A.B. Holton. His longtime playing partner Bart Russell interjected a jovial, "See you Wednesday," to a friend leaving the parking lot. That's what Shadow Hills wants, people coming back to their golf course on a regular basis - and with holes like No. 6, they will. The signature hole at Shadow Hills, the par-3 sixth is a mere 123 yards from the tips and not even a full sand wedge for some from the shorter tees, but don't let the shortness or the handicap fool you. It may be the second-easiest hole on the course, but over water with trees left, right and long to a green that slopes back to the water it is easy to take a bogey. But seeing the beauty of the hole, you'll be inspired to hit the green and walk away with par. Shadow Hills is a course you will want to play again. With no sand on the course it will play easier, and the condition of the course will guarantee you an enjoyable experience at a cost-friendly establishment. However, if you like to walk, be prepared for a hike. The course yardage may not be long, but the distance from green to tee on some holes is long enough to play a long par 3 on the way. There are plenty of places to choose from in Lubbock, however, if you're looking for a good bite to eat immediately after your round Cujo's Sports Bar and Grill is just around the corner from the entrance to Shadow Hills. There's also a new Applebee's just down the road. Sooner rather than later, more fine dining restaurants should be coming to Shadow Hills neighborhood as the city of Lubbock is growing quickly on the west side of town.